Following the April war of 1941, in accordance with the Vienna Agreement of April 24 between the foreign ministers of Italy and Germany concerning the division of the Kingdom of Yugoslavia, the Vardar part of Macedonia was divided between Bulgaria and Italy, Bulgaria occupying four-fifths and Italy one-fifth of its territory. The Macedonian people responded to the fascist occupation by organizing an insurrection. The attack by the Prilep Partisan Detachment on the town of Prilep on October 11, 1941, marked the official beginning of the -armed struggle of the Macedonian people, although there were separate actions even before that date. 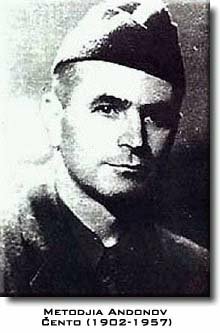 The decision of the Macedonian people to join the anti-fascist struggle on the side of the anti-Hitler coalition was a turning point in its recent history. From the very first days of the occupation, the Communist Party of Macedonia took up a decisive position to conduct a national liberation struggle, accepting the role of organizer of the armed insurrection. Relying itself on the national ideals and revolutionary tradition, it called upon all patriots, regardless of their ethnic, religious and social affiliation, to join the forthcoming struggle for national liberation. The armed struggle of the Macedonian people took place on the integral Macedonian territory - in the Pirin, Vardar and Aegean parts of Macedonia. During 1941, a number of partisan detachments were established and were active on the territory of the Vardar part of Macedonia alone; in 1943, in addition to the several dozen partisan detachments, the first military units were established - the Mirche Acev, Strasho Pindzur and other battalions, and also the First Macedonian-Kosovo Brigade and the Second Macedonian Brigade. In 1944, in addition to the numerous brigades, the corps were established, of which the Fifteenth Macedonian Corps, following the final liberation of Macedonia in November 1944, was reorganized and took part in the conclusive operations for the final liberation of Yugoslavia. Thus, by the end of the war, the Macedonian National Liberation Army numbered over 56,000 soldiers, and this part of Macedonia alone provided about 25,000 victims. The German, Italian and Bulgarian occupiers had in this region about 60,000 military and administrative police personnel. 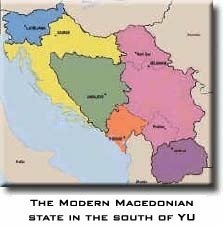 By 1943 extensive free territories had been created (Western Macedonia, the Tikvesh and Kumanovo regions), where the Manifesto of the Supreme Headquarters of the National Liberation Army (NOV) and Partisan Detachments of Macedonia (POM) was proclaimed, which was a programme document on Macedonia. At the same time, a system of people's government was organized in the free and semi-free territories with the establishment of village, town and district National Liberation Committees. There were also active judicial organs, deciding on disputes between people, particularly in legal property relations; medical corps and outpatient facilities were organized; rear-line military organs and partisan workshops for arms and other necessities were established, and an Initiative Committee was constituted for the preparation and convocation of the First Session of the Anti-Fascist Assembly of the National Liberation of Macedonia (ASNOM), and also 42 delegates were elected to the Second Session of the Anti-Fascist Council of the National Liberation of Yugoslavia (AVNOJ) to be held in Jajce. In October 1943 the first Allied (British) Military Mission arrived in the Supreme Headquarters of NOV and POM in Western Macedonia, which was the first international recognition of the National Liberation Struggle of Macedonia. All these important activities in the whirlpool of the National Liberation Struggle drew the contours of the free Macedonian state. The established political organizations and institutions legitimately expressed the vital national interests of the Macedonian people. During 1944, relations and cooperation were established with the resistance movements in Bulgaria, Greece and Albania, while, owing to their closeness, this cooperation was stronger with the National Liberation Struggle units in South Serbia and Kosovo. A joint operational headquarters under the command of the Supreme Headquarters of NOV and POM was even established in the territory of South Serbia. In 1944, in addition to the numerous clashes with the occupiers' armies and quisling Balist formations, intensive preparations for the First Session of ASNOM were under way. 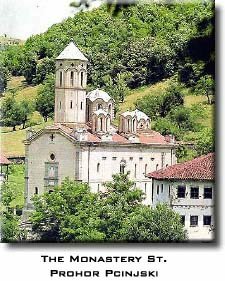 It was held on August 2, 1944 in the Monastery of St. Prohor of Pchinja, in the vicinity of Kumanovo. The system of people's government was built up on the entire territory of Macedonia by the time this session was held, and the number of committees exceeded 500. Preparations were taken in them for the election of the first Macedonian Assembly and for the acts which were to be adopted. The First Session of ASNOM sanctioned the path traveled to its constitution. Hence the decisions of the First Session of ASNOM marked the end of one stage and the beginning of another in the development of the Macedonian state. This Assembly passed a number of decisions by which ASNOM was proclaimed the supreme legislative and executive people's representative body of the Macedonian state; the Macedonian language was proclaimed the official language of the Macedonian state, and the citizens of Macedonia, regardless of their ethnic affiliation, were guaranteed all civil rights, as well as the right to their mother tongue and confession of faith. ASNOM, as the supreme institution of government, also meant a de jure commencement of the constitutional-law existence of Macedonia as a federate state within the framework of the Yugoslav federation. Following the First Session of ASNOM, the National Liberation Army of Macedonia numbered about 85,000 participants, among whom there were also about 10,000 fighters and rear-line auxiliaries from the Aegean and Pirin parts of Macedonia. In 1944, there were 7 divisions and 3 corps under the command of the Supreme Headquarters of NOV and POM. Chetnik and Balist forces were routed and destroyed. On September 9, 1944, Bulgaria capitulated, and there were already about 100,000 people taking part in the final operations for the liberation of Macedonia. German forces withdrew their forces from Macedonia with heavy losses. Eventually, with the liberation of Gostivar and Tetovo on November 19, 1944, the whole of Macedonia was liberated from the fascist occupiers and collaborators. The liberation of Macedonia by its own forces was an outstanding military and political accomplishment of the Macedonian people and at the same time it was a significant contribution by a small people to the anti-fascist struggle in the Balkans and Europe. The first Macedonian president was Metodija Andonov - Čento (1902-1957).